This chapter provides a summary of the main arguments made throughout the monograph. 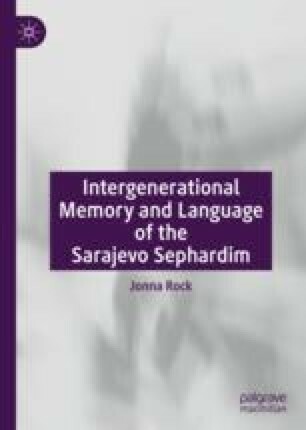 I sum up (1) the differences in identification between the three Sarajevo Sephardic generations and my interviewees’ reflections—or lack thereof—on gender; (2) the interviewees’ absorption of elite-determined linguistic identities; (3) their fear of a loss of the Jewish-Sephardic identification in their lives; (4) the implications of Bosnia and Herzegovina’s linguistic discrimination against its Jews and (5) the combination of South Slavic languages and non-Slavic minorities. I moreover present a broader Jewish relationship with language and culture. At last, I summarize the questions I explored in this book and my findings in regard to those questions. The evaluation of my findings is followed by directions for further research.